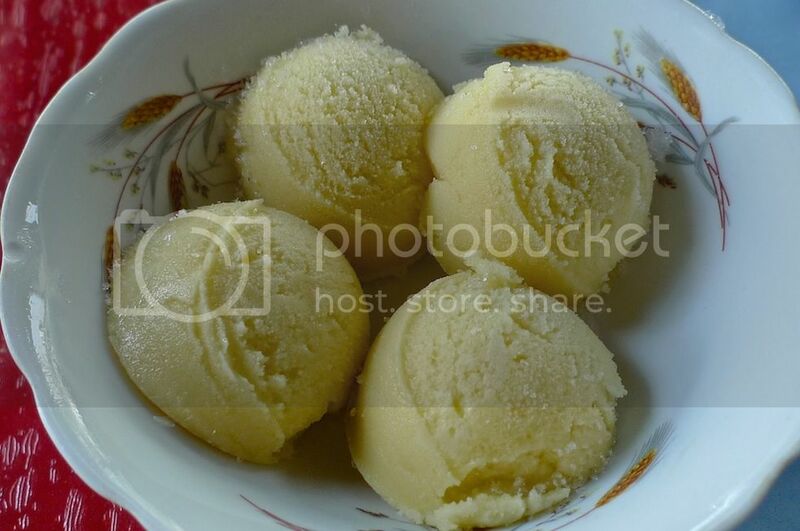 Looking for old-fashioned, Thai ice cream in Bangkok not found in trendy shopping malls? 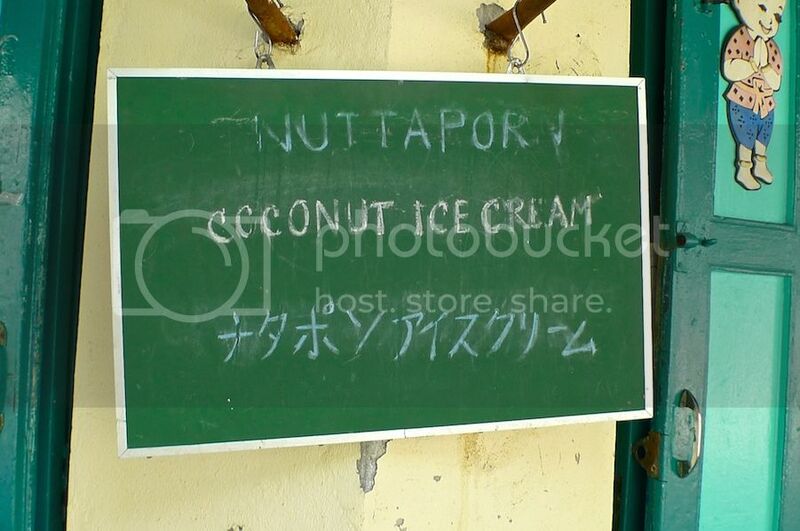 Let me introduce you to Nuttaporn ice cream - the ice cream worth traveling all the way for! I have been to Bangkok so many times that I no longer get excited with popular tourist places (although I don't mind visiting them again). Instead for my last few trips, I had been going off the tourist trail quite a bit. One example of this is the amazing Erawan Museum (I'm still surprised no one ever mention about this museum to me before) and the other is Wat Ratchabophit which I visited before I went on this search for the Nuttaporn ice cream shop. 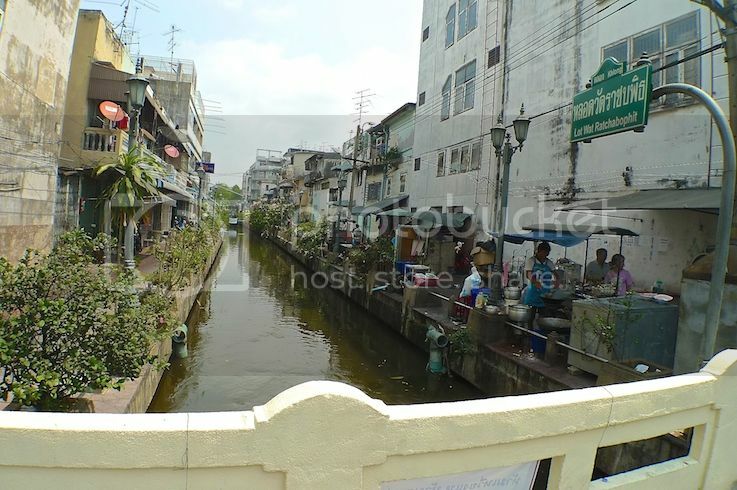 Anyway, I could not remember exactly how I find the ice cream shop, but walking from Wat Ratchabophit, my friend and I crossed a canal. Maybe we did not have to cross the canal (haha!) but we did anyway and we walked alongside the canal until we came upon this road junction with some kind of construction work going on at the building in front. 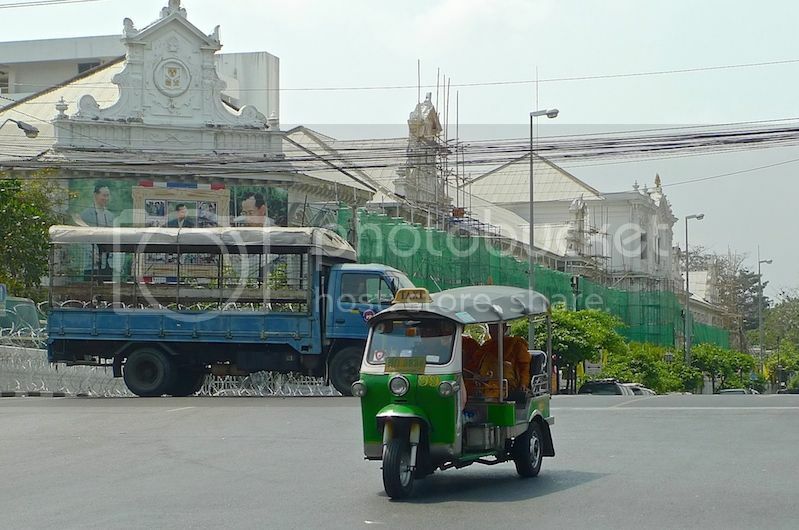 It so happened I took this shot of the tuk tuk passing by. 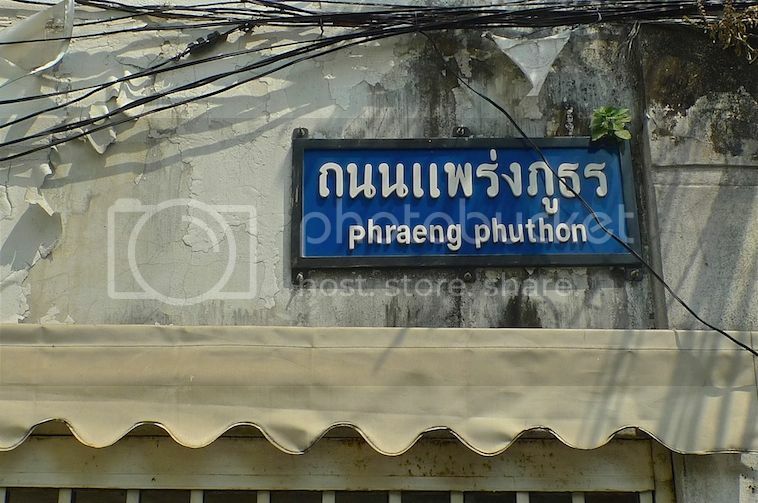 Following a map that I was carrying with me, we reached Phraeng Phuthon. With the sight of this sign board, I was sure we were on the right track. 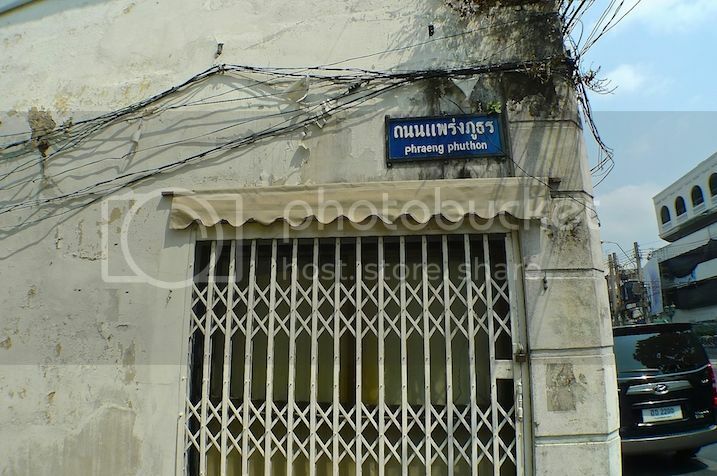 Walking along the alley, we seemed to be transported to a quiet place, away from the hustle and bustle of the city of Bangkok. At the end of the alley we turned left. 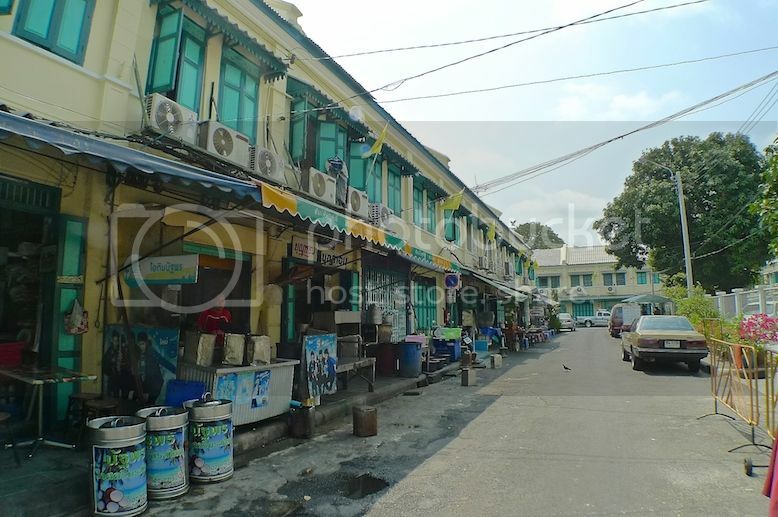 There was a row of shophouses here - all of them mostly with yellow painted walls and dark green windows. Some of them looked like shops selling noodles. Others seemed to be selling other wares, but none of them fit the image of an ice cream shop, at least to me. And then we found it! How did we know? Well, I saw this chalkboard hanging on the front wall. Bingo! It's actually a corner shop lot. The building looks old and run down, but that did not deter us from asking for the ice cream. I learnt that it was a family business and they have been selling ice cream for more than 60 years, or about 3 generations! Wow. Nuttaporn ice cream are no-frills ice cream and they come in limited flavours - coconut milk, mango, chocolate, coffee, Thai tea, and durian. So please do not expect a Haagen Dazs or Swensen type of ice cream here. 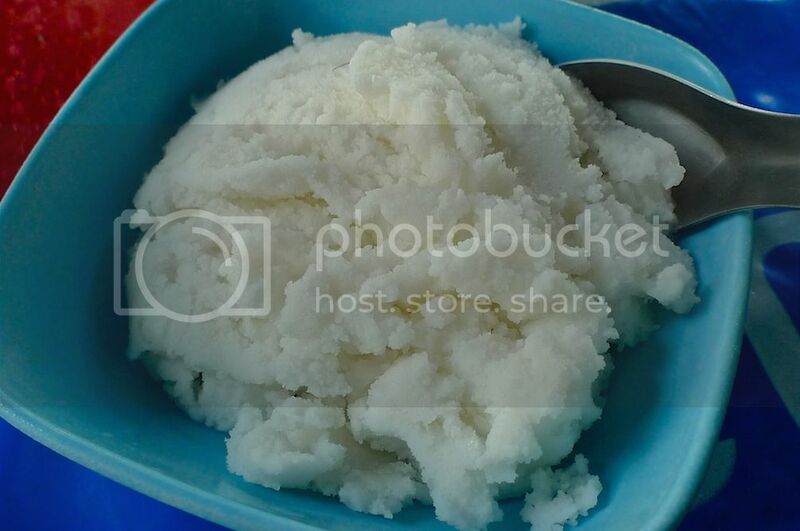 My friend and I decided to go for the coconut and the mango ice cream. I wanted to try the durian but was told it was not in season. Damn! 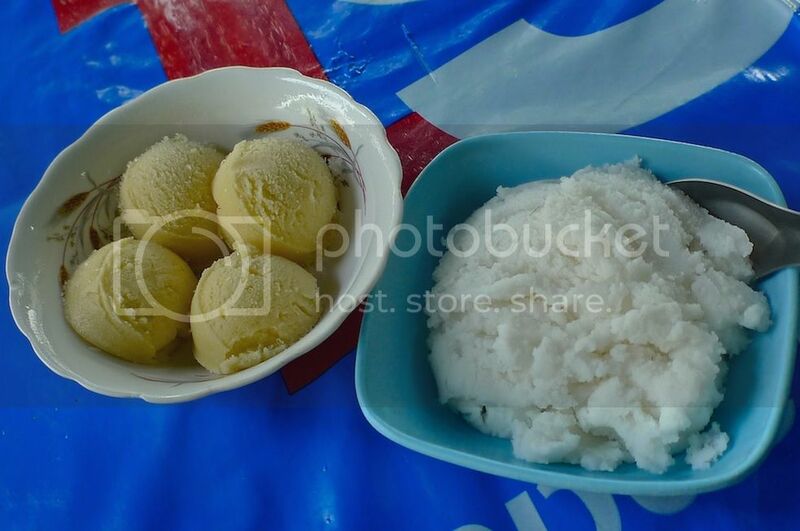 We could add toppings like peanuts, corn, lotus seeds, red beans and more for 5 baht per topping, but we decided to go without the toppings so as to be able to taste the ice cream plain. The coconut milk ice cream was yummy! Priced at 20 baht, it was made completely from fresh coconut milk - no cow milk added. The mango ice cream was super delicious! Priced at 30 baht for 4 scoops, it felt as if one was eating mango smoothies! Definitely no regrets coming all the way here to taste old fashioned Thai ice cream! If you are like me, and want to go off the usual tourist spots, I highly recommend a visit to Nuttaporn ice cream shop! Some people said, "Once you come, you don't want to go home" when they visit a very beautiful place. That happens in this largest hill resort in Malaysia - Cameron Highlands. Once you visit this place, you'll find it hard to leave. 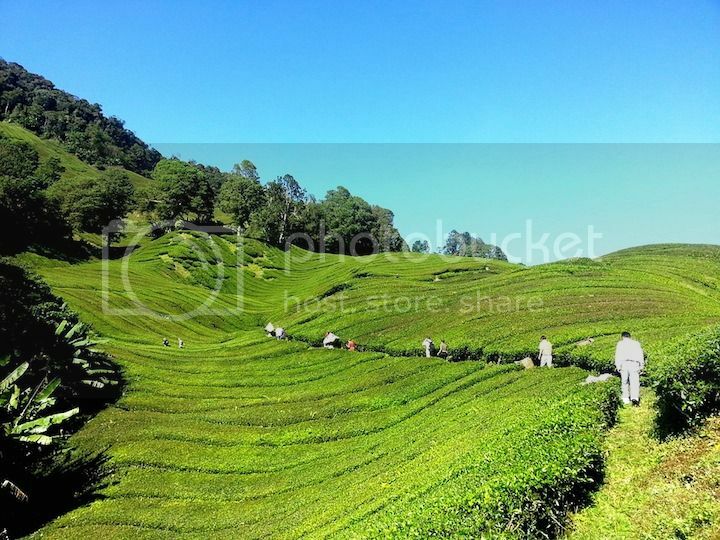 The greenery plantation field, picnic areas, hot spring, even the local village in Cameron Highlands will surely wash away all your daily burden and stress. That's why Cameron Highlands offer plenty selection of accommodations. However, if you plan to stay longer with a large group of people, kindly visit Traveloka to book one of these three great Cameron Highlands hotels. They will surely make your longer stay perfectly served especially when you are holidaying with family members or friends. Star Regency is perfect for group traveller.This 3-star hotel provides 168 units apartment-type accommodation with 2-4 bedrooms. This means, you can spend the night together with about 8 family members or friends economically by only booking 1 unit apartment. 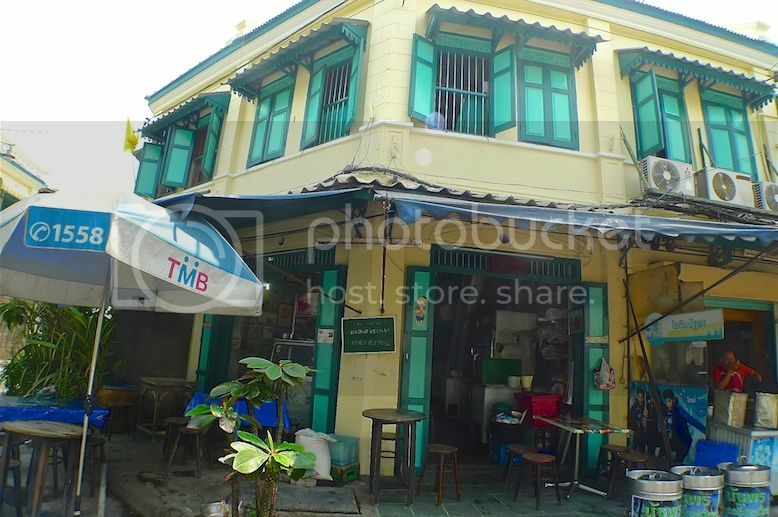 The rate for 4 bedrooms apartment starts from RM596.01 in Traveloka. The unit is very spacious and fully furnished with standard amenities including AC, TV, balcony, bathroom, desk, coffee/tea maker, and prayer mats. There is a living area for a well-spent family time. 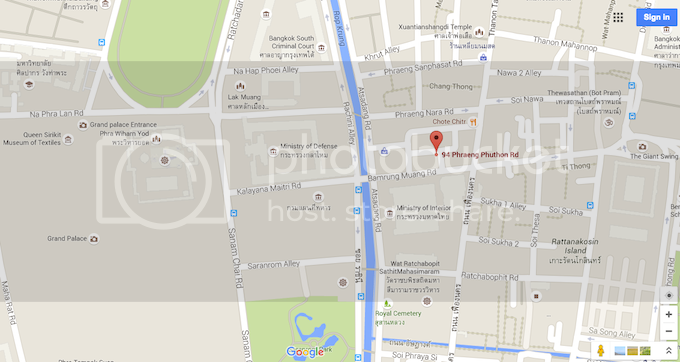 Hotel facilities include 2 restaurants (Chinese and Western cuisine), massage center, gift shop, and ballroom. Well-spent holiday is surely provided here since the hotel offers great room and numbers of amazing facilities. For retreat with groups, there is Family Triple bedroom with capacity of 3 people at attractive rates starting from RM376.40. There are also 2 bedroom suites that are priced less than RM500 per night and upcoming 3 bedroom studio suites in 2016. All rooms are well equipped with 3-star modern hotel standard facilities and private balconies facing greenery and mountains. There is kitchenette inside the suite for cooking meals together with family and friends. If you are lazy to cook, restaurants are available. This is also the perfect Cameron Highlands hotel for recreational activities since it’s attached to the amusement park and Cameron Square. This apartment welcomes you to the serene nuance of Cameron Highlands. It sits facing the hills and lush tea plantation. The building is well designed with European taste. 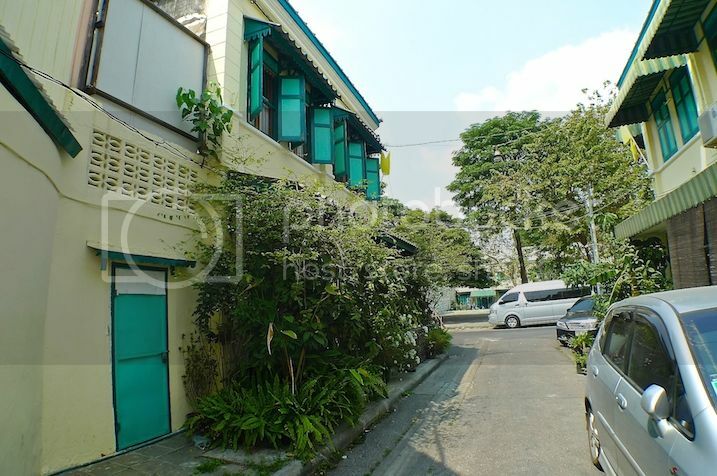 The accommodation consists of 20 units of apartment fashioned in a homey style. All apartments are fully furnished and complete with modern facilities. You can book 3 bedrooms apartment in this Cameron Highlands hotel at less than RM300/night via Traveloka. While staying here, you can hold BBQ party as facilities are provided. There are also mahjong set for rent, conference facilities, and golf course. As one of the oldest family-owned accommodations in Cameron Highlands, Parkland Apartment is also strategically located within walking distance to supermarkets, restaurant, and the local night market.